Leading souls redeemed to heaven. Now the gate of death is riven. Cheering e'en our failing years. 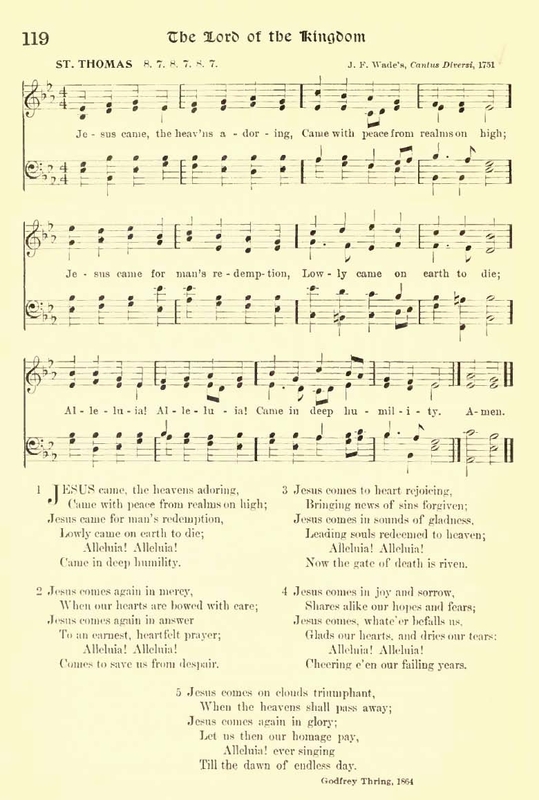 Jesus comes again in glory. 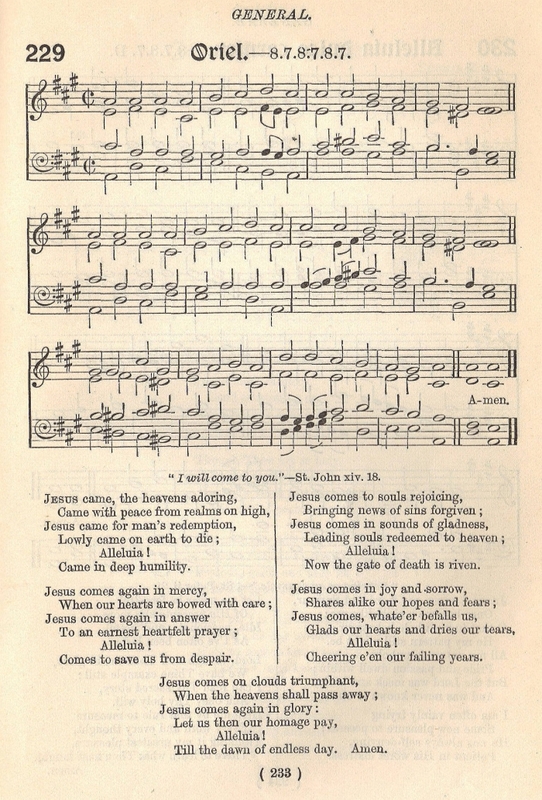 Sheet Music "Oriel" from Mary Palmer and John Farmer, eds., Church Sunday School Hymn-Book (London: Church of England Sunday-School Institute, 1892), #229.